Bought wisely, a used forage wagon can be a shrewd purchase for those taking control of silagemaking. But there are a few tweaks and tips needed to keep them running sweetly and performing well. 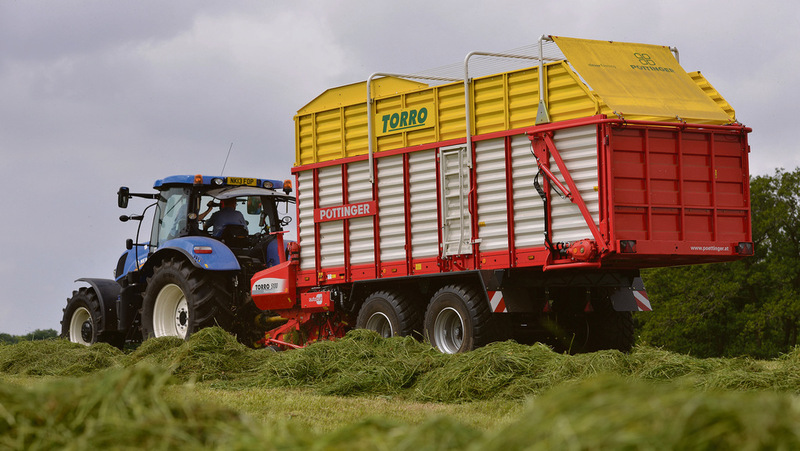 As an example, this Pottinger Torro 5100L offers a 51cu.m capacity (compressed), 31.5cu.m actual volume and auto load capability, making it easy to make the most of its potential. While the Torro lacks an hour meter, it does include an electronic load counter, which is stored on the machine, not the control box. Each count is tripped during filling – not by the tailgate opening and closing. Tripping occurs when the machine indicates it is full, taking a signal from a pressure sensor. This then gives a truer indication as to how much work the machine has done, especially if the machine has just been used as a transport trailer for part of the season, or if someone has needed to open or close the tailgate for maintenance. As these machines spend their lives working in relatively clean crops and not muck-filled, muddy environments, their longevity should be decent. With the exception of the occasional driver error, their overall condition – even on older machines – should still be impressive. While blades can be sharpened in-situ with a grinder, they can be lifted out and sharpened properly on the bench. Knowing when to sharpen is key and will depend on field conditions, but be prepared to sharpen knives daily to maintain peak chopping performance. This will result in improved chop quality and reduced fuel consumption. Fortunately, a swing-out knife bank makes it easy to check knife condition on a frequent basis. 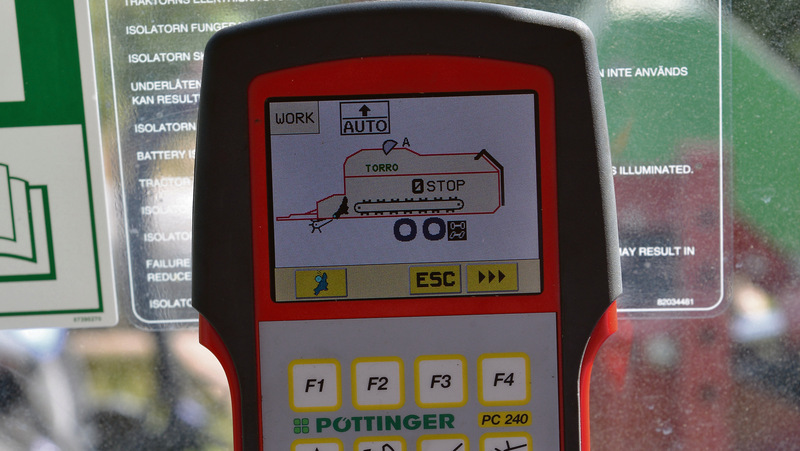 Later models can be equipped with Autocut – Pottinger’s automatic knife sharpening system. This can make it easy to sharpen little and often during the working day to maintain a clean cut and a consistent 35mm chop length. Feed rotor is largely bullet-proof but can sustain damage on the tips if safety devices have not done what they should. Sections can be replaced, as they are keyed onto the drum. Suitable for tractors with 150-250hp, the Torro 5100 gets overload protection through a cam-clutch positioned ahead of the main gearbox, above the pickup. It should be dismantled, checked and correctly set by a dealer each season to maintain machine performance. The clutch on this Torro 5100 model needs to be set at precisely 2,100Nm. Pickup design uses a cam-track system and is fairly robust. However, bent tines will soon see rapid wear on the guide plates, along with increased wear rates to adjacent tines. Often, poor pickup wheel adjustment is the cause. Check the pickup thoroughly for broken tines, badly worn guide plates, and look for damage or uneven wear on the guide wheels. All can have an effect on intake performance. 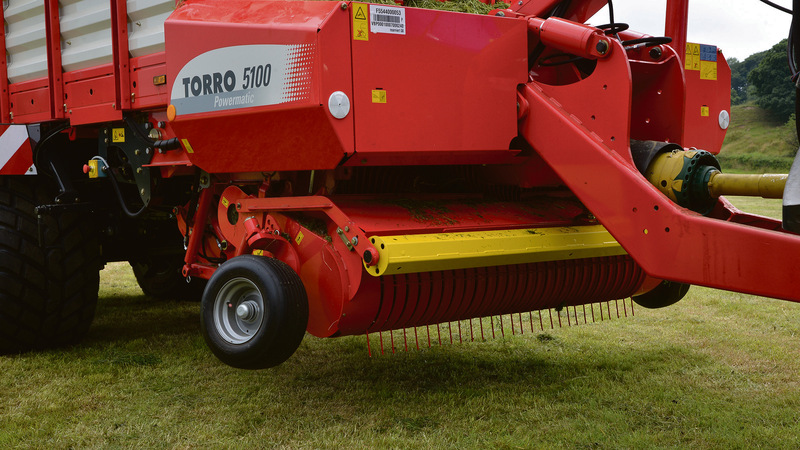 The Torro has the ability to operate with tractors using load sensing or open centre tractor hydraulic systems. However, for best performance and to make the most of the forage wagon’s functions, a tractor with a power beyond hydraulic system will prevent constant oil recirculation and excess heat build-up among hydraulic components. 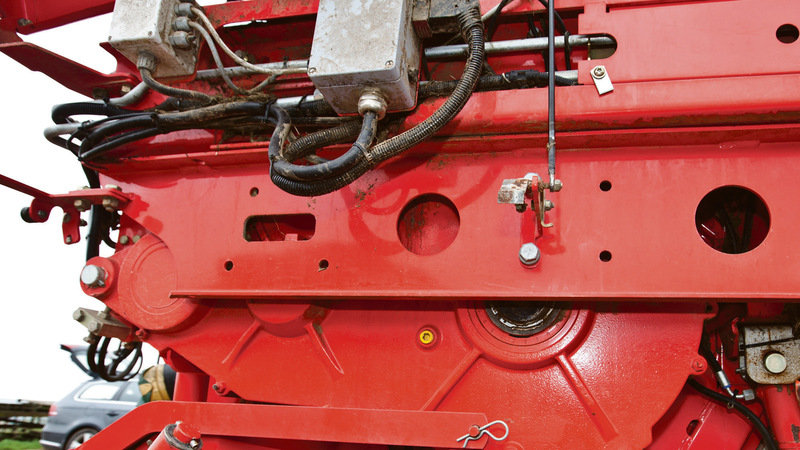 A free-flow return is essential though, so make sure tractor connections are up to the demanding job. Do not be tempted to route a return line through a spool valve. Running gear often includes a following axle which needs to be locked hydraulically when reversing. 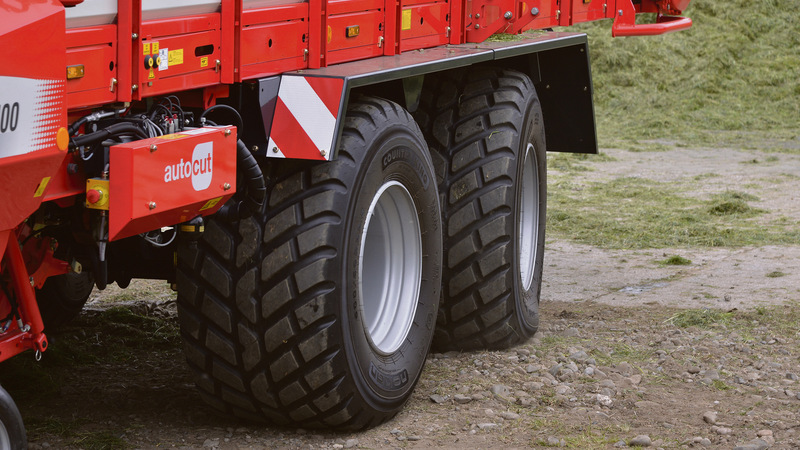 Ten-stud BPW commercial axles include hydraulic brakes and parabolic leaf springs. They are all robust components, says the firm, but need to be checked for signs of correct operation to avoid premature wear and failure. 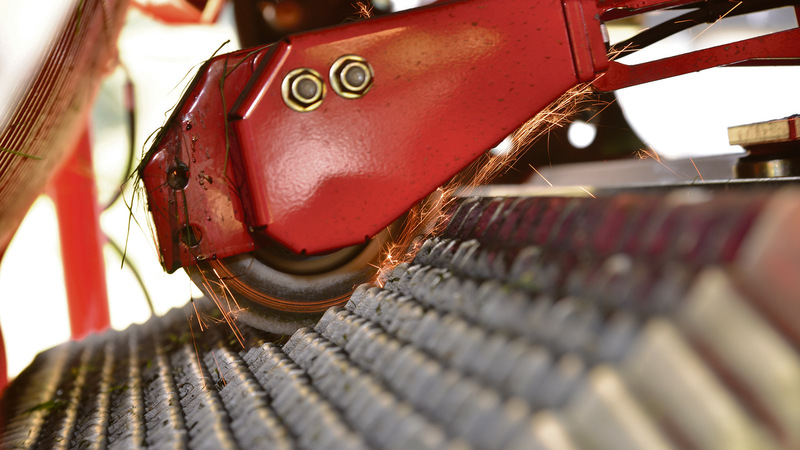 Correct bed chain tension is essential for machine longevity, so it is important to know what is acceptable and what needs attention. Read the handbook to be sure of the correct way to check tension. 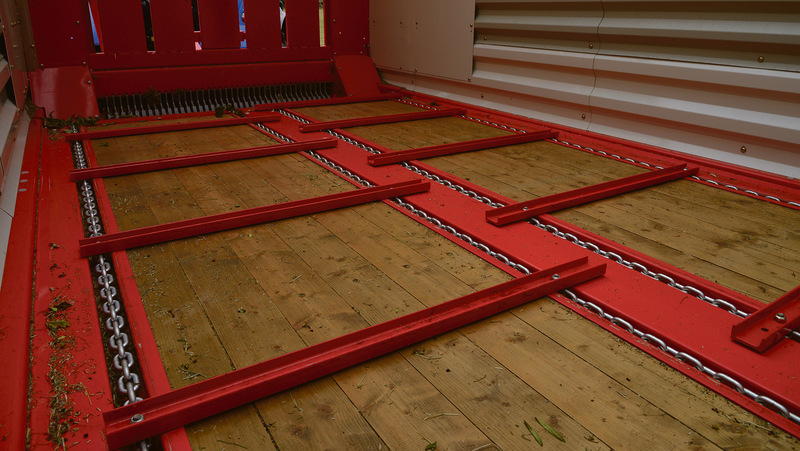 The Torro benefits from an autoload function – do not ignore it when the machine is full, or you could end up breaking bed chains when trying to unload. Fortunately, Pottinger offers connecting links as a repair kit. Depending on the model, the main drive can be either chain or gearbox – the latter is shown below. Oil levels need checking and replaced according to manufacturers’ specification – use the correct grade oil and fill to the correct level. With chains, check tension and lubricate as required.